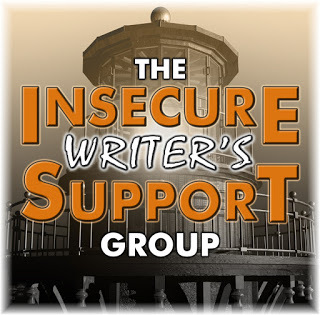 Good Morning, Insecure Writers! Are you ready to spread the joy and/or anguish of our craft? Thank you always to our leader, Ninja Captain Alex. J. Cavanaugh and his merry cohosts: are Stephen Tremp, Pat Garcia, Angela Wooldridge, Victoria Marie Lees, and Madeline Mora-Summonte. Today's question: What do you love about the genre you write in most often? Well, that's the thing. I don't have a genre I write in most often. I started with a paranormal thriller, followed by several short stories that were speculative, sci-fi, and/or suspense. Then I wrote a historical novel. And now I'm trying to write something contemporary. I don't think about the genre as much as the character. Maybe I'm edging into literary territory. Call me an up-market gal. That's what I'm aiming for anyway. Regardless of the genre, there is one thing I love about all of them: the research. Back in my school days, I was a diligent student, but not a joyful one. I was a grade grubber, stuffing facts into my head like a kid cramming down their Brussels sprouts in order to get dessert. But now, knowledge has a purpose. 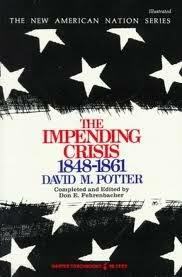 To write that historical novel, I dove into huge textbooks detailing everything that lead up to the American Civil War and couldn't get enough. For one of my sci-fi shorts, I scanned scientific papers on functional MRIs to mesh what was real with what might be possible in some not-too-distant future. And it was fun. Maybe we should turn all students into writers so learning isn't so dreary. I did not mean to take another long break between posts, but it's completely my husband's fault. But first, let me thank our host, Lexa Cain, and her co-hosts: L.G. Keltner and Tonja Drecker. While I was taking care of our children, house, pets, and every critter within a 5-mile radius who might want something to nibble on in this frozen wasteland lovely Rochester winter, my husband tootled off to sunny San Diego for five days of sightseeing and visiting with his folks a math conference. He came back with a bucket of pens and the cold from hell a virus. Thanks bunches! Achoo. Cough. Cough. Cough. Cough. Cough. Cough. Cough. Cough. Cough. Cough. Cough. Cough. Cough. Cough. Cough. Cough. Cough. Cough. Cough. Cough. Cough. Cough. Cough. Cough. Cough. Cough. Cough. Cough. Cough. Cough. Cough. Cough. Cough. Cough. Cough. Cough. Cough. Cough. Cough. Cough. Cough. Cough. Cough. Cough. Cough. Cough. Cough. Cough. Cough. Cough. Cough. Cough. Cough. Cough. So I've been busy coughing my brains out and filling Kleenex with snot. Good times. While I've been moaning and groaning, my kids have been up to some amazing stuff. 1. My daughter, the famous artist. Like many teens, my older daughter enjoys posting on Instagram and getting likes and comments. Recently, she's been using drawing apps to make fan art of the pets of well-known "Youtubers" and other social media sensations. One of these pets was named Eddie the Lilac Lion, a senior rescued cat who had lost his ears, teeth, and was half-blind. After Eddie passed away, Sedona sent the above artwork to Eddie's owner, who loved the image and even posted it on their Instagram account. So far, this image has received 7851 likes and over 250 comments. You can check out more of Sedona's art at @creativecat_444. 2. I'm related to an outstanding violinist. My kids also caught my husband's horrible cold and missed some days of school right before dancing and singing in their school's production of Peter Pan. Talk about horrible timing! 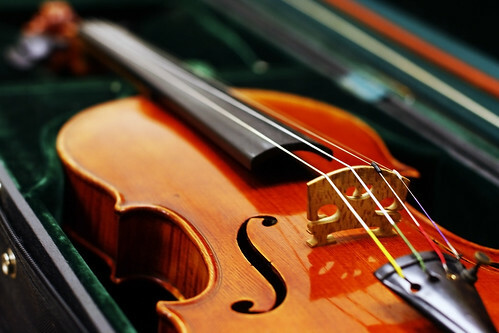 In the midst of all this insanity, my younger daughter, a violin player, had a solofest which involves playing a prepared piece before a judge along with scales and sight reading. Talk about pressure. Nothing was going right before this solofest. Micada had missed several practice sessions with her orchestra teacher. Her nose was completely stuffed up. Her performance time was at 7:10 p.m. after a long day of school followed by two hours of rehearsal for Peter Pan. I felt that if she played anything for that judge, even one note, I would be impressed. Instead, she came out after playing with a smile on her face. These performances are graded on a scale that runs from "needs work" to "good" to "excellent" to "outstanding". When we got Micada's score later that night, she had scored "outstanding"! Unbelievable. Do you write in one genre or several? Do you have an Instagram account? Play a musical instrument? Sorry to hear about the virus. Ouch, no fun there! Scary creepy dangerous thing this year, for sure. My author, Miss Mae, is kinda like you in the writing -- one genre is kinda like a stick in the mud boredom for her, so she's delved off into writing things like -- ME! And the whole zany lot of us from Gum Drop Island. Uh, sorry, no broccoli allowed. That was sweet of your daughter to create the image and send it to her. I can vouch for your perfectionism when it comes to researching for your stories. I love the research also. It's my favorite part. I have had a recent fascination with circus and sideshow history. I would love to write something about it, but I'm probably not creative enough. Sorry everyone has been so darned sick. And nothing in the world would compel me to eat Brussels sprouts. I'll take Alex's brussel sprouts. I write in mainly two genres. Sounds like your daughter is a great performer under pressure. Congrats to her and hope the family gets healthy soon. Writing in a bunch of genres is great. I like to expand and dabble in many different genres, too. It's nice to not confine yourself as a writer. Your daughter is very good. 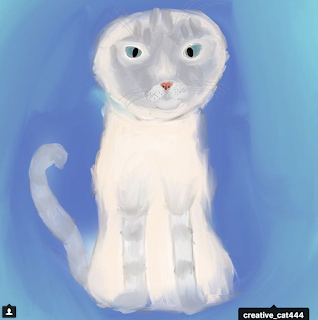 That's cool your daughter likes to create art and the cat picture is so cute. I wish I enjoyed researching more. I love to learn new facts, but I don't like the task of searching for them. Heh. Feel better! Research is one of my favorite things too. I do it as I go along, and sometimes I do get lost on the internet just looking stuff up. What a beautiful picture of the cat! That is a great attitude! Upmarket, Gal! That's my attitude also. My story has a mixture and taste of a little bit of everything and cannot be put into a specific genre. Wishing you all the best with your contemporary novel. I like research too, but it sure takes up a lot of time. Some day you might find a genre and stick with it. I also have written in many different genres but my mainstay is YA. Everyone is sick. It's so sad. Take care!!!! You should check out Brad Herzog. He writes in whatever category of fiction he wants, and he writes in non-fiction, too. I've heard him speak a couple of times. I LOVE research too. My brother and I were having a conversation the other day and it was a blast to throw a ton of historical facts at him that he'd never have researched himself, but they are fascinating. Way to go to your kids. I love when their talents come to light! My 12 year old has started into portraits, and she does a pretty amazing job. At least, she's better than I was at her age. Can't wait to see where she goes with it. Wow, you have talented kids! So awesome that at this young age they are using their talents and doing creative things. "...turn all students into writers so learning isn't so dreary. .." This would, indeed, be awesome. Research frequently derails my writing, as I am easily distracted down the rabbit hole of all things fascinating. I have zero musical talent, but if I had any, I would play the cello. I can attest to that cold being miserable. So sorry you caught it, too. Ah, Instagram. Yep, I'm on it. But I don't utilize it as much as I could. oh those horrible colds - theyve been spreading like crazy and lasting way too long. and research is great fun - i still love learning too! I was just reading a post by Anne R Allen this morning who said it no longer matters if you publish in multi genres as your cover should tell your reader exactly what each is about. Cool. I hope you all recover from that virus soon. It's no fun being ill. When I was still in Albany, I got sick at least once every few weeks. Research is such a fun part of writing. I have bibliography files with the resources I use for writing my books (both print and online sources). A very shocking moment came when I looked back on one of these files and realized I'd inadvertently used a Holocaust denial blog about African-American soldiers who were among the Mauthausen liberators. Not only that, but I'd cited many pages from this site's sister blog, whose true nature is very well-disguised. So sorry to hear your kids have been sick - and right before the school show! I love research. Even when I was at school, I loved curling up with a book in the State Library, whether it was the story of MHrnjo Daro(my history assignment on India) or Shakespeare criticism. My school library was useless for anything but fiction, being the size of a classroom, so I went to the wonders of the State Library for research. I still love looking up stuff and as a librarian I know how to do it. I’ve been known to read whole books for an article if I didn’t know much about it and then, when you are reading, yo7 spit a link to a related top8c and...the Internet rocks! Nuts! Sorry to hear your children aren't feeling well. And with 5 kids, I know the timing is always bad when kids get sick. I truly believe research makes for a better story. I also love to research. I just need to remember to start to write the story. Your kids are so talented. I absolutely adore your daughter's picture of Eddie. And so exciting about your children's art and music. Definitely things to celebrate! So sorry to hear about the vicious cold that your family is suffering from. At least it didn't affect your daughter's performance much (if at all). She sounds dedicated! And talented. Hope everybody has recovered from the snot and sniffles! An artist and a violin player? That is wonderful... such a talented and creative family! I play the piano. I'm classically trained and certified via the Royal Schools Of Music. I read, write, sing and teach music, at school choir level and private one-on-one piano tuition. An up-market gal! I think that's a wonderful self-description! And why not? Authors are constantly experimenting with different genres and the hybrid author is on the rise. I suspect that cross-genre writers will become more and more popular. Aww...hope all of you have recovered from the cold and flu. Research is definitely a lot of fun. Hope you all feel better soon! Best washes for a speedy recovery. I hat being sick but love doing research. Have fun with the latter. Sounds like you have some really talented kids. Love the picture of the kitty. Hope you're feeling better by now. Isn't it nice when all you get from San Diego is a lousy cold? Hopefully there was at least one awesome present as well. All the best with all your research! And hope you are feeling better now! Some users believe that rooting and jailbreaking are the same process but that isn’t true. Souper Blog Hop! Mmm Mmm Good.